The Richland Seniors Association is celebrating Richland's heritage in a unique way. 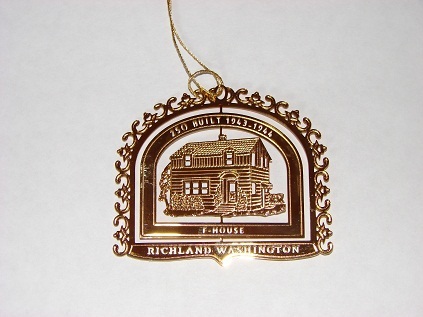 Ornaments depicting some of Richland's alphabet-houses have been designed. 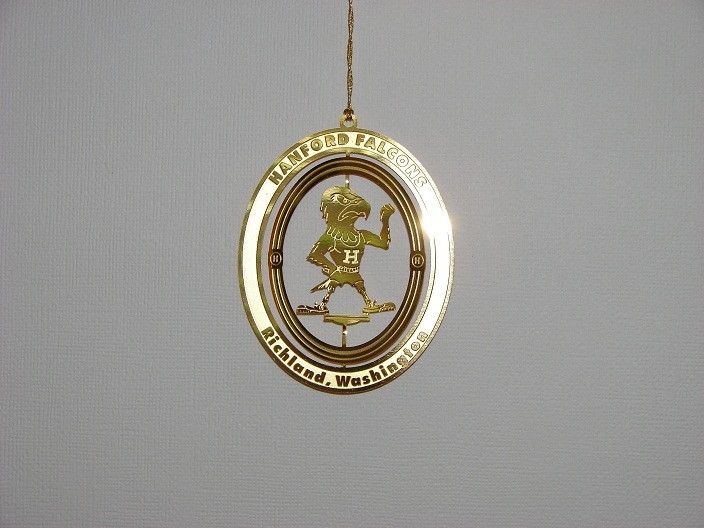 Our local high school mascots are also commemorated on RICHLAND BOMBERS ornaments and HANFORD FALCONS ornaments. Ornaments are made of light-weight "gold finish brass." These ornaments (for your window, souvenir, or Christmas) will be an unusual gift for parents, neighbors and friends, children, and grandchildren. 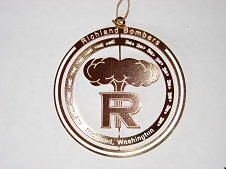 Ornaments may be purchased in our GIFT SHOP at the Richland Community Center 11:00 a.m. - 1:00 p.m.). Evening and weekend pick-up can be arranged (phone Sue at 946-9087). The cost for each are as follows: Houses $3.00, Hanford High School $5.00, and Richland Bomber $6.00.